Add Selcall, Telcall and GPS reporting to Kenwood TK-90 HF radios! The SC90 is a small module designed for installation inside the Kenwood TK-90 HF radio to add the additional capabilities of Selcall, Telcall and GPS position reporting. The SC90 requires a microphone with a 16 key keypad to control it's functions. Information from the SC90 is displayed on the Kenwood TK-90 LCD display. 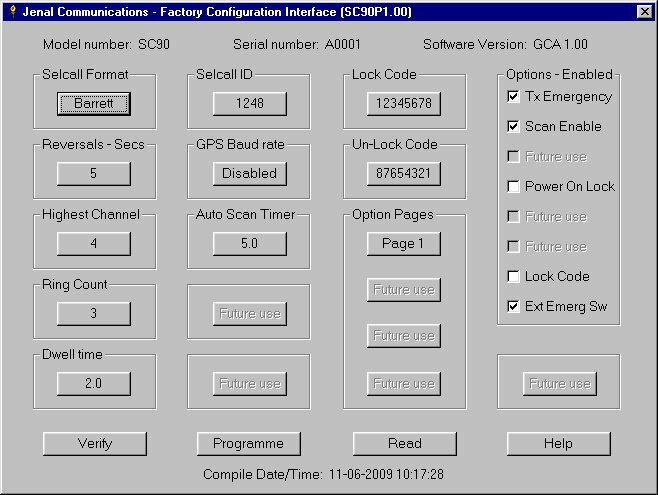 The SC90 software allows for 10 memory locations for storing those commonly used Selcall or Telcall numbers. The memories can be easily saved, recalled or deleted using the microphone keypad. Stored telephone numbers can be checked on the Kenwood TK-90 display. A ten location recent call list holds the last ten calls received and shows the selcall number of the calling station plus telephone number or GPS co-ordinates as required. This list is cleared when the radio is powered off. When installed in the Kenwood TK-90 radios the SC90 can also control channel scanning (up to 20 channels) and audio muting while providing outputs for driving alarm (eg. horn) relays as well as sounding audio alarms. With the SC90 installed in your mobiles you will be able to carry out vehicle tracking and location using your existing HF network. A base station radio that is capable of receiving the GPS information is required. A suitable base radio is the Barrett 950 or 2050 and a PC running the Internav software. The SC90 can be Un-Locked by entering the Un-Lock Code via the keypad microphone connected to the TK-90. When Locked the SC90 will automatically power down the radio after 5 seconds, thereby making the radio un-useable. The unit can also be made to automatically lock the radio at power switch on time. The user then has 5 seconds to start entering the Un-Lock code before the radio powers off again. For GPS functions the SC90 requires an external GPS receiver unit to obtain the position data. The GPS data is extracted from the "RMC" sentence and the data must be in NMEA-0183 format using either TTL or RS-232 signalling at 2400, 4800, 9600 or 19200 bits per second. Emergency calling is available when using the Barrett selcall format. Emergency calls can be initiated from the keypad or from an external push button or switch. If a push button is used then it has to be held pressed for at least two seconds before the call will be sent. When using an external permanently operated switch the SC90 will send a total of three emergency calls with 30 seconds silence between calls. The SC90 will send a GPS Emergency call, if a GPS unit is attached and functioning, otherwise the SC90 will send an Emergency Selcall. The SC90 is easily programmed with a PC or a laptop via the GPS data port. Simply running the SC90 programming software will put the unit into programming mode. Once in programming mode the SC90 can be configured by using the freely available programming software. Click HERE for a screen shot. See the manual for more details. 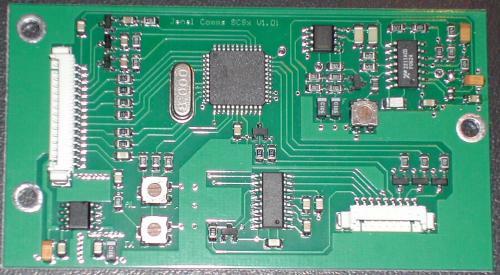 All interfacing to the radio circuitry is through a supplied cable loom while the GPS interface is connected through a 10 way ribbon cable which is terminated in a 9 way D connector.